Robin Riley, HMRC Head of Digital Engagement and project lead for HMRC’s corporate content on GOV.UK. This week marks exactly one year since HMRC moved its corporate web presence to GOV.UK, and exactly two years since the beta of Departmental and Policy information (then known as ‘Inside Government’) went live. A year ago I wrote a post for the GDS blog about our experience in moving to GOV.UK, and asked what the coming year might bring. So, I thought now would be a good time to look back on the past 12 months and see how far we’ve come. HMRC’s existing website already generated large volumes of traffic. Traffic does not necessarily equate to success, of course, but it is an indicator of the chances of success. Our worry was that moving our corporate content to a new platform would make it harder for users to find (a decrease in traffic). If I’m honest, I was also worried that HMRC’s content would get lost among the ‘sexier’ content from Departments such as Number 10 or MOD. Now that it’s been a whole year, we can draw broad like-for-like comparisons between the most important corporate pages on HMRC’s old site and the new pages on GOV.UK. The sites are very different so it’s not always possible to make a direct page-to-page mapping, but we can get pretty close. Many more people are finding information about what HMRC does. The move to GOV.UK forced HMRC to set out, in plain English, its activities against the Government’s main priorities. For example, arguably HMRC’s biggest priority is reducing tax evasion and avoidance. On GOV.UK, HMRC’s activity on this is set out in a ‘policy’ which ties this activity with announcements and wider Government policy. The nearest equivalent to this on the old site was an “issue briefing” that explained HMRC’s approach. We have also seen significant increases in traffic to content about what HMRC does (its purpose, vision and methods) and to HMRC’s news articles and announcements. Public accountability starts with public understanding. So, the greater visibility of this content (rather than it being hidden away) should be good news for users, and for HMRC’s transparency and accountability in future. Traffic to HMRC’s Charter – the key document that sets out HMRC’s obligations to its customers – has stayed at the roughly the same level, showing that people are still able to find the Charter and that our redirects (from old pages to new) worked OK.
Traffic to the Charter did show a slight drop (11%) comparing the two three-month periods. However, the three-month sample after three months on GOV.UK (May 2013 to July 2013) shows 9,488 pageviews for the Charter, an increase over the old HMRC site. So it’s possible this slight drop is within the normal fluctuation in traffic for this page, but we’ll keep an eye on it. We’ve been working to make HMRC corporate information simpler, clearer and faster. Simpler: We’ve moved more of HMRC’s very detailed corporate content, such as HMRC’s National and Official Statistics, to the GOV.UK platform, and made it easier to navigate. Clearer: We’ve added more, completely refreshed information about what HMRC does in the policy section, so people can better understand what HMRC does and why. A good example is the page explaining HMRC’s campaigns. Faster: Where possible, we’ve delegated publishing out to the actual owners of corporate content in HMRC, rather than publishing everything through a dedicated central team. This makes HMRC publishing faster and more efficient. 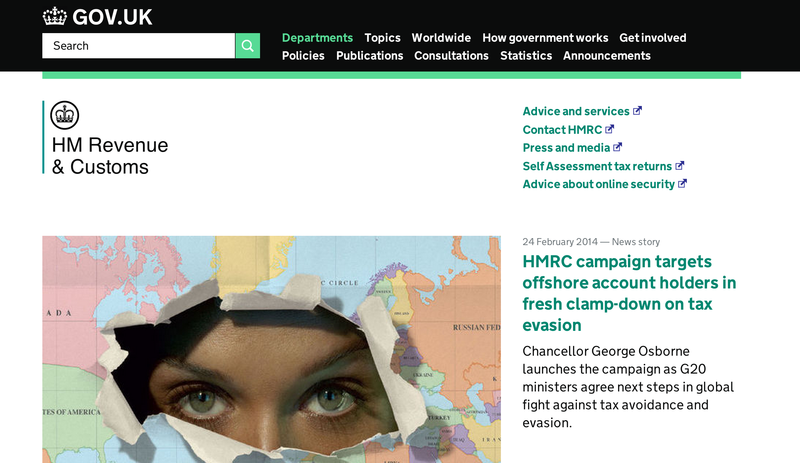 Moving HMRC’s corporate content to GOV.UK was only the start of the story. Over the past 12 months HMRC and GDS have been working together to move HMRC’s customer-facing content and detailed tax content. We’ve also been sharing the detail of what we’re doing as we do it. You can find much more information about this work on the HMRC transition blog. Follow Robin on Twitter, and don’t forget to sign up for email alerts. For someone who’d just played his best game of the season, center Marcin Gortat was rather subdued at his locker after the Clippers’ victory Friday in Phoenix. Barring a Clippers playoff berth this season, no game will mean more to Gortat than Sunday’s celebration of “Polish heritage day” during the Staples Center matinee against Orlando. The 34-year-old Gortat, the fourth NBA player produced by Poland and the only one actively in the league, is a role player for the Clippers but a celebrity in his home country, where he employs nearly a dozen through his MG13 Foundation and helps fund and oversee four schools that develop young athletes. “It’s a huge responsibility,” he said. “I’m like an ambassador of my country showing t..
WASHINGTON, D.C. – Following an eight-month long investigation, today U.S. Senators Rob Portman (R-OH) and Tom Carper (D-DE), the Chairman and Ranking Member of the Permanent Subcommittee on Investigations (PSI), unveiled a new bipartisan report that details the lack of transparency in how American colleges and universities manage Confucius Institutes—which are located at more than 100 American colleges and universities and have received more than $150 million in support from the Chinese government. These Confucius Institutes are controlled, funded and mostly staffed by the Chinese government. The report also details China’s one-sided treatment of U.S. schools and key State Department programs in China, and documents the lack of oversight by the Departments of State and Education of U.S. Confucius Institutes.